The perfect companion for your next outdoor adventure. Search, save, save and return home with Handy GPS. 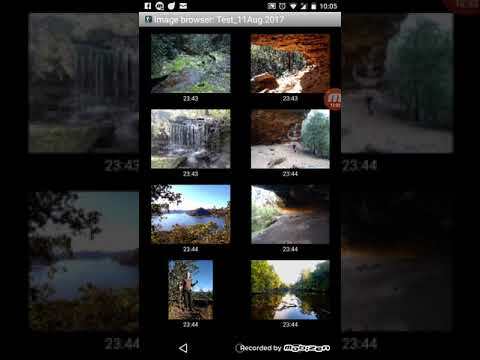 This app is a powerful navigation tool designed for outdoor sports such as hiking, bush walking, tramping, mountain biking, kayaking, boating, horseback riding, geocaching. It is also useful for surveying, mining, archeology and forestry applications. It is simple to use and works even in the farthest backcountry because it does not require network connectivity. + Data can be imported and exported to Google Earth KML and GPX files. + Allows manual entry of waypoints in UTM, MGRS and lat / lon coordinates. + Can guide you to a waypoint using the "Go to" screen and possibly emit an alert when you approach it. + Has a compass page that works on devices with magnetic field sensors. + Support for WGS84 global datum and common Australian map datums and grids (AGD66, AGD84, AMG, GDA94 and MGA). You can also use WGS84 for NAD83 cards in the United States. + Graphically indicates GPS satellite positions and signal strengths. + Unlimited number of waypoints and tracking points. + Email or SMS your location to a friend as a clickable Google Map link.